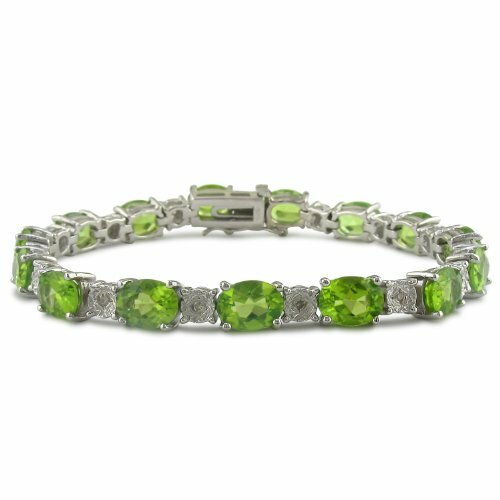 Sterling silver name bracelet created with Swarovski green crystals to represent the color of an August birthstone. 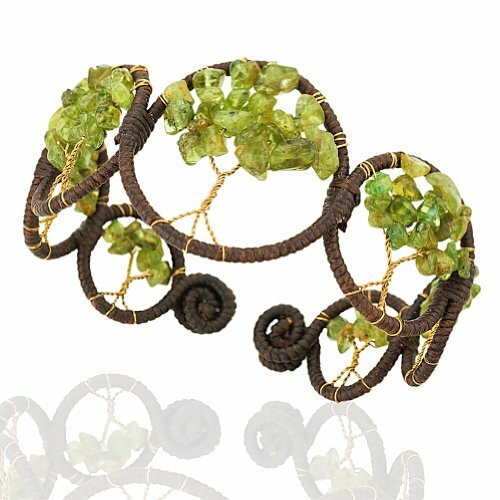 Beautifully accented with ornate bead caps and floating silver rings. 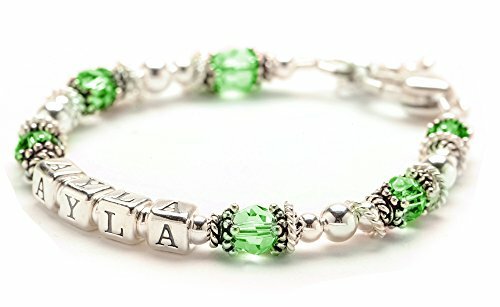 Child’s name is centered on bracelet. 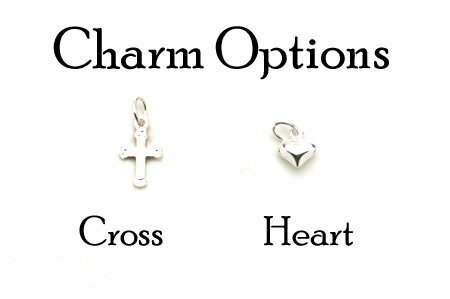 Custom options: Name, Size (4.5″baby, 5″toddler, 5.5″ or 6″), Charm (heart or cross). 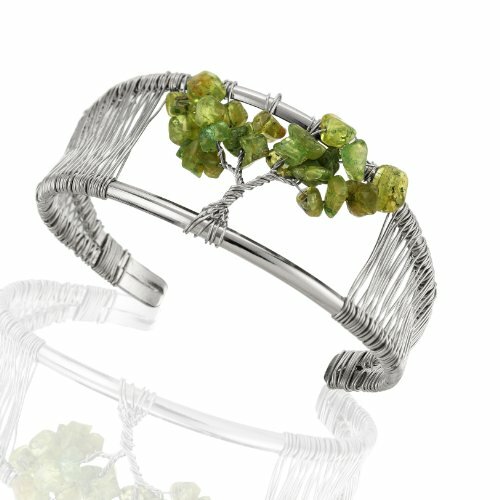 ORDER INSTRUCTIONS: Select “Gift Message” to list the Name, Size and Charm. 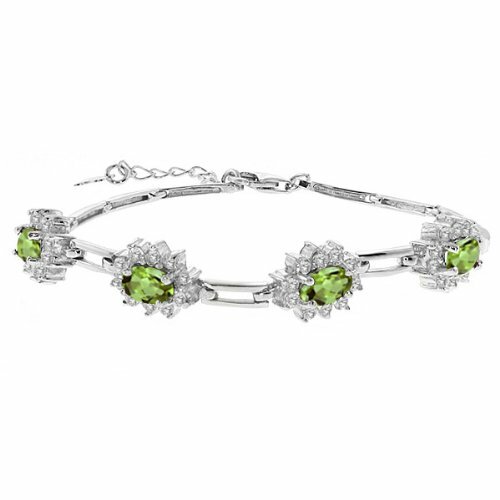 If personalization details are missing from order, our designer will contact you via email to request details. 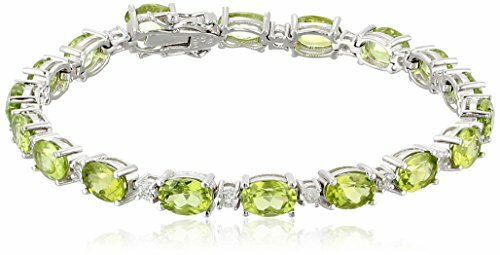 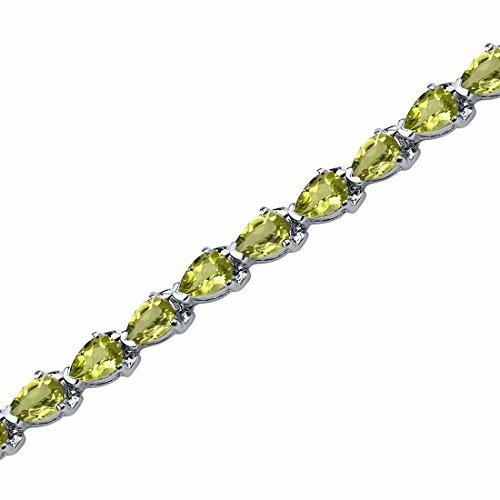 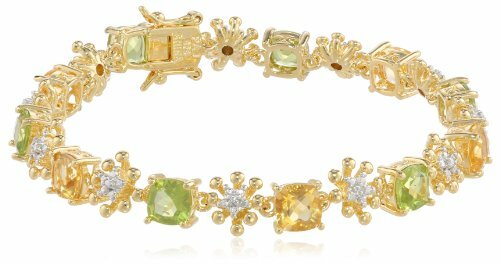 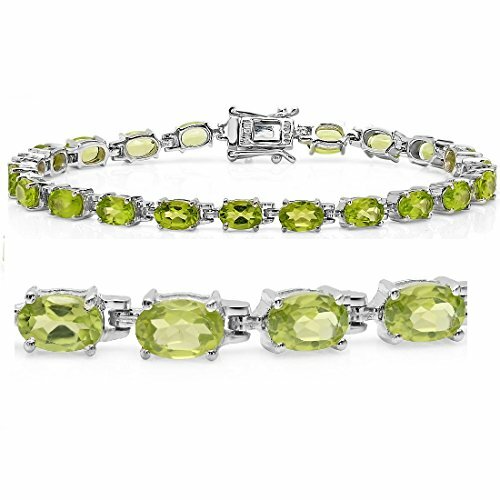 The Classic August Crystal Childs Bracelet is a sterling silver name bracelet designed with round Swarovski green crystals representing the color of the August Peridot birthstone and wrapped in Bali silver bead caps. 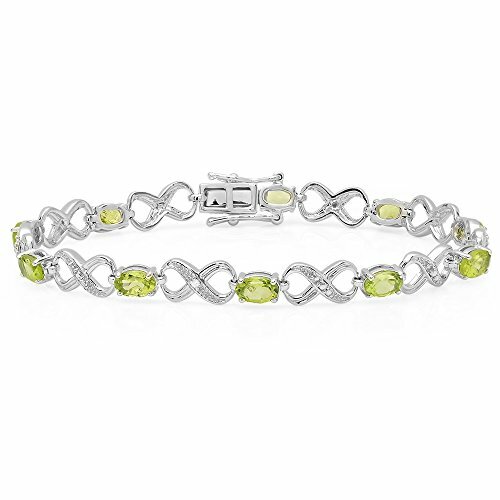 Sterling silver floating rings accent the style beautifully. 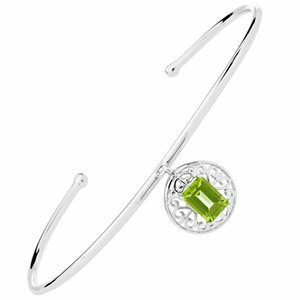 This childs bracelet can be ordered with a name or without at no additional charge. 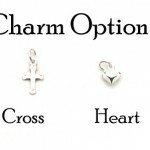 Available in baby sizes as well as larger sizes for young girls and teens. 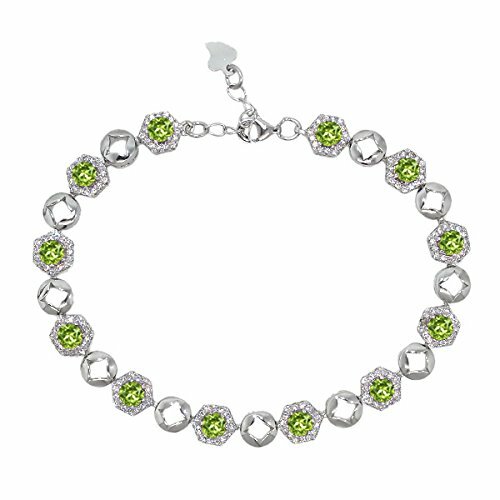 Personalization Instructions: Please use gift message field to list the name for the bracelet as well as the size preference (4.5″baby, 5″toddler, 5.5″ or 6″). 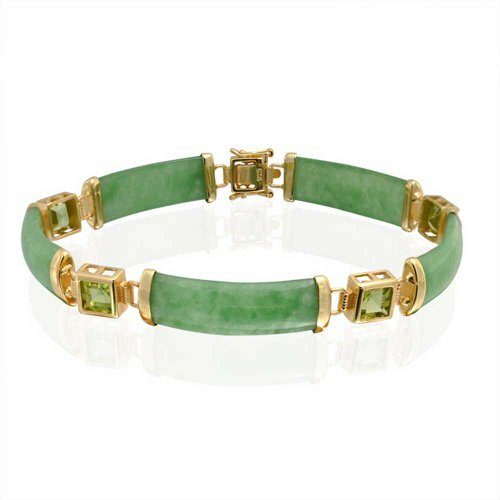 However if you would like to send us an email at the same time the order is placed with the name and size preference we will reply to confirm your details. 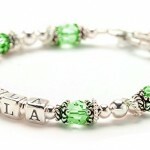 August green crystal name bracelet personalized with any name up to 9 letter beads.